Sad... Still haven't heard what started it. No detail. Presumption is that it is something to do with the restoration work being carried out. But at this point that is simple speculation. One of the towers is now visible on fire. I climbed to the top in 1987. Paris won’t be the same without it. Hope the walls survive. Hope you are correct, but what a project! Macron has committed France to rebuilding it. Apparently a lot of the historic artefacts had been removed due to the renovation. The basic structure appears to have survived. 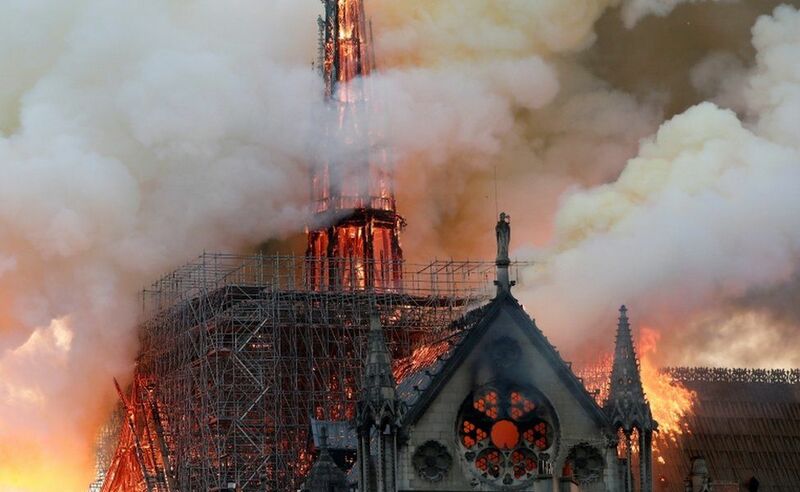 The wooden structures holding the bells remained intact. One fireman was badly injured other than that there were no casualties. French billionaires pledge to support the rebuilding. $450,000,000 pledged so far. May take $700,000,000 to rebuild. Over $800,000,000 now. Corporations are fighting over giving money. Yeah...they're not going to have a problem rebuilding the cathedral.